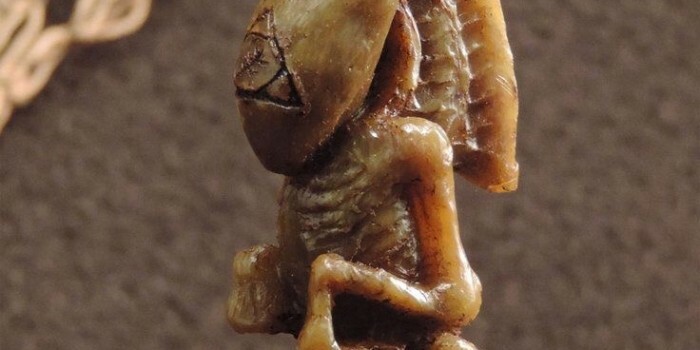 This gruesome wood carved effigy was discovered in the lightning struck rubble of a strangely leaning farmhouse in Miskatonic Valley of Massachusetts. Contractors clearing the land for new construction were sent to demolish the long abandoned property, and found the scorched remnants of many books and antiques made almost indistinguishably with mold and debris. The hefty sculpture tumbled out of a load bearing wall. The object bothered the man who found it. He immediately sold it to an auction house in Boston, who then brought it to our attention. 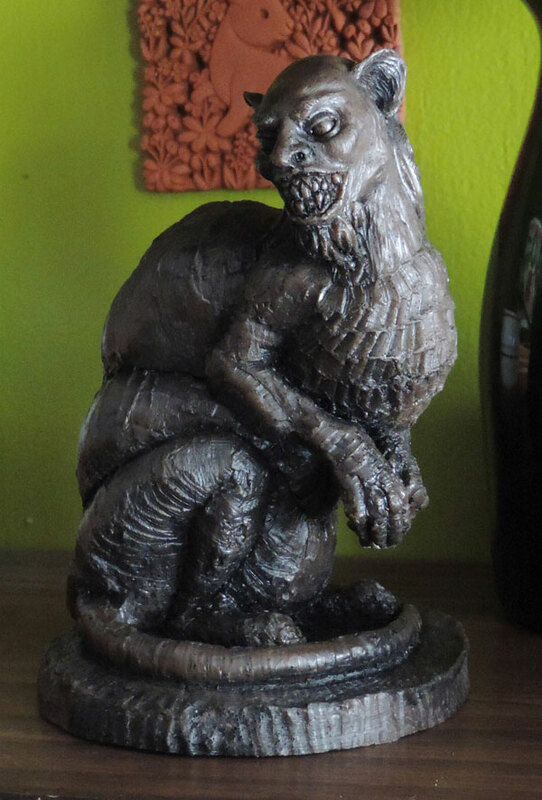 It bore an uncanny resemblance to the shape of the witches familiar Brown Jenkin, a servant of old Keziah Mason, mentioned in the ravings of the mathematician Walter Gilman of Haverhill Mass. We wonder how many masters the little thing may have had? No matter. We now offer it’s likeness to you. 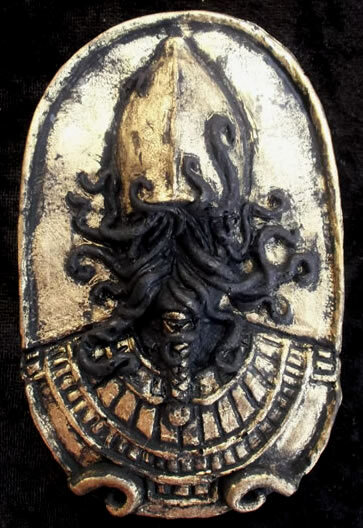 Nyarlathotep Amulet in 11,5 cm x 6,5cm (1,5cm depth) in resin. 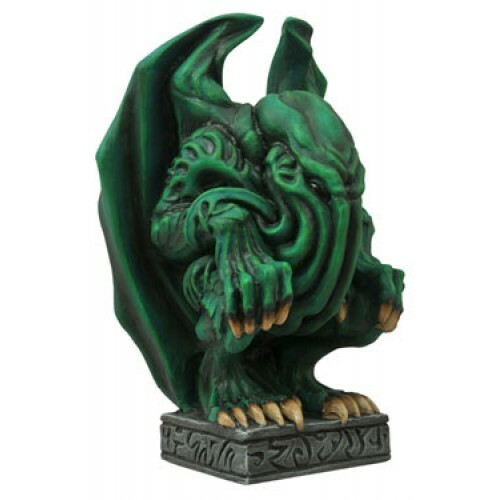 A Cthulhu idol by Diamond Select.